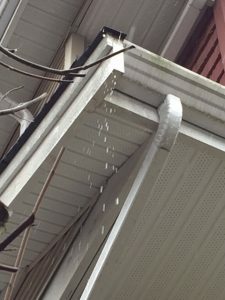 Handle That Dripping Gutter with Power Plus Property Maintenance! We offer a call out service for any gutter overflows or repairs needed. We handle unclogs, repairing of corner seams, pigeon proofing and replacement of downpipes and gutters. Getting the repairs done is important as the overflowing water can cause damage to your siding, decks and grounds. Our company offers a professional safe service that will save you the headache of climbing on your roof to repair your gutters. Due to our teams years of experience, we can work with most gutters, and find solutions that will save you money.